We’ve all been there, racing to get out the door for work or school or dinner reservations. All you want to do is find some jewelry to put the finishing touches on your outfit, but the piece you’re looking for is either a) missing or b) hopelessly tangled in a rat’s nest of baubles, links and chains. Enter Jewelry Stax, the cure for unruly jewelry. These handy organizers are modular storage trays that slide and stack to keep your jewelry and personal accessories in order. They come in many shapes and sizes, and you can mix and match different tray configurations depending on how much space your jewelry collection requires. The divided compartments are lined with tarnish-resistant flocking, and each piece comes with a transparent dust cover for see-through protection. The trays are shallow, so nothing gets lost under a jewelry pile, and they’re designed to nest together and slide, so you can easily browse your collection. 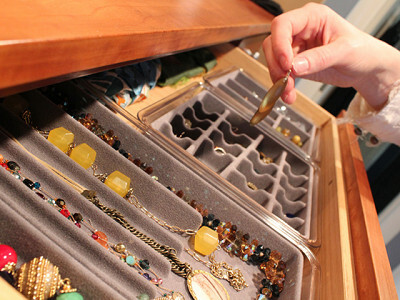 Tucked in a drawer or stacked on a countertop, Stax trays keep your jewelry organized and accessible, so the next time you’re hunting for the perfect accessories, it’s easy to see all your options -- even the pieces you’ve forgotten you own. No digging or untangling required. Allow me to take a few seconds of your time to talk with you about time. Time, isn’t that what it’s all about? Time with your family and friends. Time to yourself. Time to savor life. That’s what we all covet the most. At Neatnix, that’s what we spend our time thinking about; finding ways to give you time through organization. 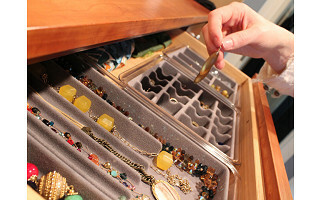 Saving the time it takes to find your jewelry, watches and accessories, for example. With those extra precious few moments of time and brain space, your world can be yours again. Thank you for your time. Now, let us help you give it back to yourself. 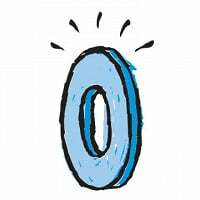 I welcome your comments and questions about Jewelry Stax. Hey Grommet, nice job with the video. We couldn't have said it better ourselves! So these products look exactly like what I have been searching for... however, can you tell me how deep each piece is... I plan to stack several in a drawer, but need some measurements from you..
@ Mary Pat Thanks for the comment. The trays are 1 1/2" tall. The large trays are 16" x 9" and the small trays are 8" x 9". I need help with bangles! What are the dimensions of the largest section of the 4 compartment tray? That's the one that looks as if a bangle could sit in it. @ Carey The square compartments are approx. 3 1/8" by 3 1/8". I've got a 4 Compartment sitting on my desk with a stack on bangle bracelets in each of the square compartments. Depending on how ornate your bangles are, they should fit fine. Thanks for asking. The greatest thing since sliced bread! Two of everything, please. @ chrmn2k Thanks for chiming in. Yes actually, most of our customers buy more than two of each. Because they're modular and each fit a different need, you'll want more than two of each. Also, since they stack in a modular format, they take up a minimal amount of space. Will you have the 36 compartment one anytime soon so it can be ordered??? @ mary: Thank you for your interest. We're not sure when the 36s will be available; will contact you directly once we have more. I have had these in burgundy for years, I add to them as necessary, and they really do work well. Now I've bought a small set of drawers in which to keep them with one or two trays per drawer. The great part is that despite an extensive collection I know where every piece is and can find everything so easily. Please send me a link to your company via email. @ Sue: We'll be in touch directly with the info. I would also like to be notified of when the 37 compartment comes out as well as the link to your company. When will you have the"out of supply" refilled? These look wonderful - both for myself and for gifts! Please add me to the list of those desiring a link directly to your company and those being notified when the products are back in stock. Will these be restocked for Christmas gift giving? Please notify me when you have them in. I too am interested in being contacted about when these will be in stock. Should I place my order now for Christmas delivery?? @ MDK, @Marcy, @Bonnie, @Lucy & @Nancy: They are hot items, flying off the shelf. Will let you know when more are available. Thank you for your interest. @Chew-Hoong . Could you please let me know when you get the out of stock items back in? Thank You! @ Kelly: Be glad to. When will the larger units be back in stock and available? I too would like to be notified when your stock is replenished, and would like a direct link as well. @cathy & @ N Hammock: Will be sure to let you know when available. I also would like a direct link to the website. And would like to know when these will be back in stock. They are just what I was looking for! We’ve all been there, racing to get out the door for work or school or dinner reservations. All you want to do is find some jewelry to put the finishing touches on your outfit, but the piece you’re looking for is either a) missing or b) hopelessly tangled in a rat’s nest of baubles, links and chains. Enter Jewelry Stax, the cure for unruly jewelry. These handy organizers are modular storage trays that slide and stack to keep your jewelry and personal accessories in order. They come in many shapes and sizes, and you can mix and match different tray configurations depending on how much space your jewelry collection requires. The divided compartments are lined with tarnish-resistant flocking, and each piece comes with a transparent dust cover for see-through protection.